Wish List - SUPPORTING THE TAYLOR HOUSE, INC. In Spring of 2017, the Taylor House embraced an old tradition — The Hope Chest — presented in a new empowering way. 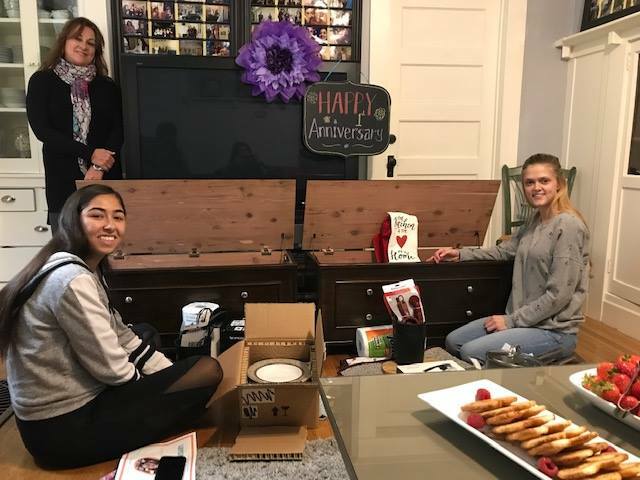 When our residents reach their “One Year” anniversary of moving into the Taylor House, we celebrate their successful participation in the program with a “Hope Chest” filled with special items necessary for their future life of independence “full of hope”. With requests from so many for a comprehensive list, we’ve included (below) just about everything we could think of that would be helpful when starting out on your own for the first time, hoping this list would serve as “inspiration”. Have fun! We are extremely grateful for your thoughtfulness and participation in any way that makes this difference in our precious girls’ lives.